The first and perhaps most important step to creating fascinating content is knowing who you are creating that content for. Who is going to read it? Who is going to be interested in it? Are those people really the people you want to be doing business with? What are they like? What questions are they asking? What are their goals? What are their challenges? What is it that they are looking for? Buyer personas help you decide how and where to focus your time and effort to attract the people you want as well as to create content that is actually helpful, content that solves exactly the problems that your personas have, content that answers their questions. It’s not just about content, content, content; it’s about the right content. You don’t want to be found by anyone, you want to be found by the right people. For that to happen you need to create content that is relevant to your buyer personas and to your business. You need to dig deeper and ask questions. Buyer personas are at the centre of your activities. They should guide each and every piece of content you create. Now that you’ve defined your buyer personas, it’s time to analyse the questions that they are asking and create a logical path to answer them at the right time. Why is that important? Because, indeed, your buyer personas ask many questions, but not all at the same time – some people are already aware that your products exists and are more interested in knowing about the benefits, others have no clue yet that your product could be a potential solution of their problem, they are only searching for more information about all existing alternatives to weigh in. The buyer’s journey is the active process each of your buyer persona goes through from being a stranger to becoming a customer. There are three stages: Awareness, Consideration, Decision. For each of those, you need different types of content. It can’t be too much, it needs to fit with the knowledge and needs of your buyer personas. At awareness you would want to attract attention and educate, at consideration you would want to go deeper and provide solutions, at decision you would want to convince that it is you who is the best – it’s the first time your brand name gets mentioned, it is where you have earned the right to speak about why you’re better because you have already educated your readers, you’ve given them possible solutions to consider and so by guiding them you’ve earned their trust in you as an expert. And now you have built an authoritative relationship that has captured hearts and minds – here’s where you tackle and address any objections they might have. The basic idea behind the buyer’s journey is to give your buyer personas a series of interrelated interactions and content that gradually build up in relevance and resonance. At each stage, people ask different questions that progressively add up and become more product/service-focused. You need to offer them the logical next steps to move them further along in their customer journeys. Your audience’s needs and expectations take priority. A useful exercise here is to put yourself in your buyer persona’s shoes and see things through her eyes: You’ve got a problem – let’s say you want to start going to the gym, but you’ve never done it before. Obviously, there are some things you need to consider. Which gym, where, personal trainer, classes? So you start your research at the beginning with some general questions and discover more, you even find out that you might need some fitness gear, clothes and sports shoes. Because you have some issues with your ankles, you are now aware that you need good sports shoes with great support. You have defined your problem, the “why” is there, so now it’s time for the “how” – finding the right type of shoe, or your solution. You start researching more about the different types of shoes – for training, for running, for various other sports, with extra cushioning, with awesome breathing technology etc. You discover that you need stability shoes that prevent your ankles from rolling inwards excessively. Now it’s time to find the right and the best product and so you start comparing stability shoes of different brands, individual product ratings and customer reviews. You weigh in pros and cons, check out the prices, perhaps even the design and you make your decision – yes, you want to have Nike. Great! You now have the buyer’s journey, what’s next is to start thinking about the different content you need to be creating at each stage in order to gently guide your buyer persona to making a decision and choosing you. The emphasis here is on the word “gently” – you cannot push people, we are far too sophisticated and educated now to even pay attention to advertising. Mapping out how you can answer these questions at each stage is essentially your content strategy. 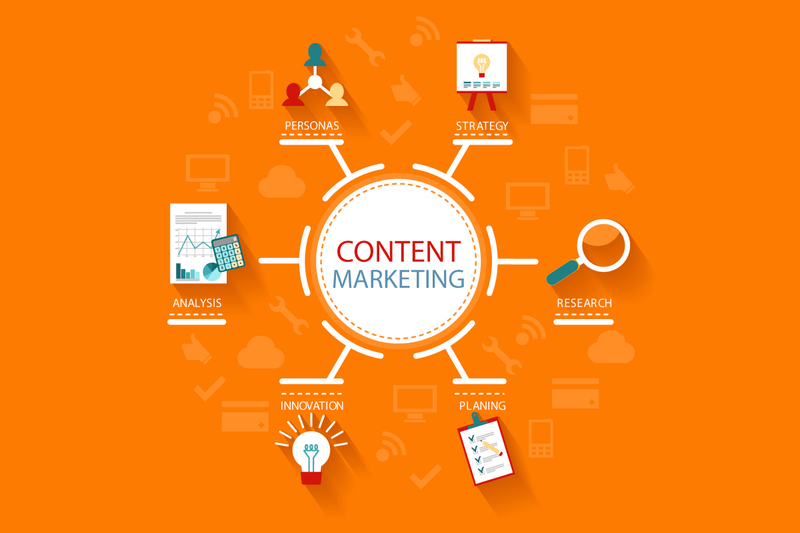 Content marketing is not ad-hoc. You can’t just create content whenever you find some time or inspiration and a cool topic. You need a solid plan based on informed decisions made when researching your buyer personas and the stages of their buyer’s journeys. Content without a strategy doesn’t lead to long-term success. Only carefully planned activities help build long-lasting relationships that lead to customers and customer loyalty. Now that you have your content plan and strategy in place – you know your buyer personas and have mapped out their buyer’s journeys – you can get to the nitty gritty of actually creating that content. For many businesses this is the most challenging part – how do you create content that stands out among all that noise? How do you capture attention with so many distractions? Our average attention span today is shorter than the one of a goldfish: only 8 seconds. Exactly because there is so much information available out there, you need to spend some time figuring out how you can distinguish yourself and your content, attract people and earn their interest. What you can do here is to use fascination triggers to make your content and storytelling even more powerful and engaging. This is not something I just made up, but is based on research – The Kelton Fascination Study which was the first-ever marketing research study specifically about how people and brands become more fascinating. It identified seven main facets to fascination: innovation, passion, power, prestige, trust, mystique, alert. Summing up, the one big learning here is that content marketing is about building relationships. This doesn’t happen overnight, it takes time, energy, effort and consistency. It also requires that you have done your research and developed a strategy that allows you to make informed decisions based on your buyer personas, their buyer’s journeys and how you can fascinate them with the right content at the right time, triggering the right emotion. How do you create fascinating content? What trigger works for you?